We love hearing from our customers. 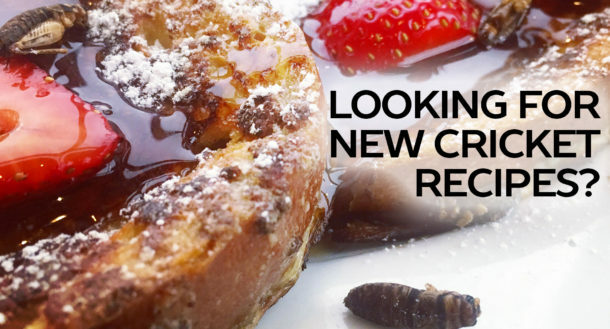 While we love creating new cricket flour products and cricket flour recipes, we love to see how our customers use our cricket flour for added protein and nutrition to their own favorite dishes. 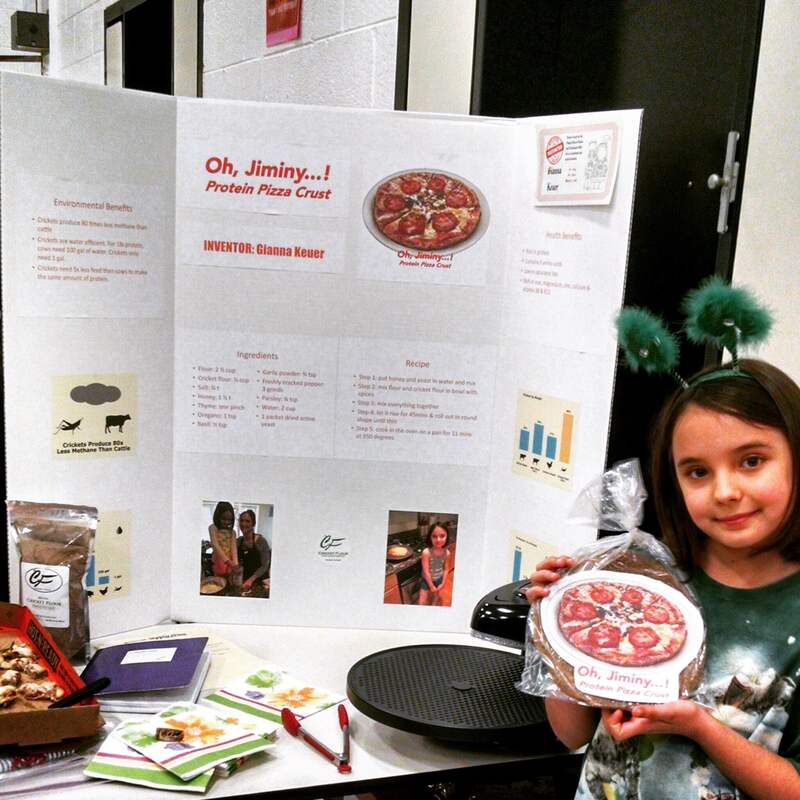 We recently heard from one of our customers, Gianna (pictured above), and learned that she had created her own cricket flour recipe using our cricket flour to make her new and delicious recipe called, “Oh Jiminy…! Protein Pizza Crust.” What Gianna created for an amazing science fair project, you can now recreate in your own kitchen to make a cricket flour pizza dough using the ingredients and directions below. Enjoy! In a bowl, mix honey, yeast, and 1 cup of warm water and stir until yeast fully dissolves. Let the mixture sit for 5 minutes. In a mixing bowl, mix the 100% Pure Cricket Flour, baking flour, and spices together. Next, add the liquid ingredients and combine. Let your cricket flour pizza dough rise for 45 minutes before you roll it out and shape until thin. Cover your rolled out cricket flour pizza dough with your desired sauces and toppings, and then place it on a baking pan in the oven for 11 minutes.